Still need a wreath for your front door? You can knock this one out in no time AND you can make it any colors you'd like!! Start with a 14in foam core wreath form, some straight pins and hot glue (not shown). All you do is put a dab of glue on the back of each bow, place on the foam core and add a pin to the middle for extra hold! 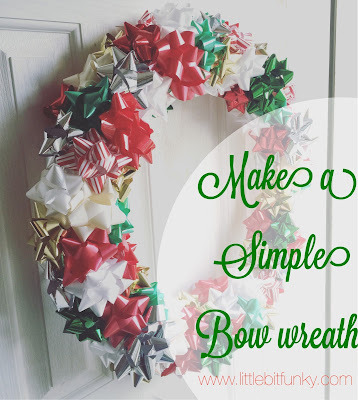 Repeat until full, placing the bow close to one another. That's it! I did this one Sunday after church! It was a low stress, high productivity kind of craft!